Wearable device customer satisfaction rankings released by J.D. 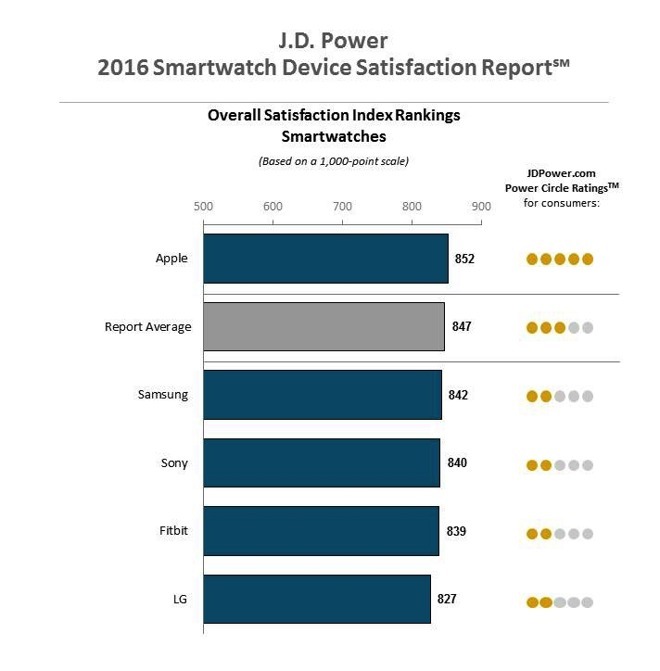 Power on Tuesday place the Apple Watch at the top of the heap, edging second-place finisher Samsung as the best smartwatch on the market today. The J.D. Power 2016 Fitness Band Device Satisfaction Report polled 2,696 customers who purchased a smartwatch between June 2015 and June 2016. Questions covered ease of use, comfort, battery life, phone connectivity features, price, durability, display size, appearance, reliability, apps available, and customer service. Based on the results of the survey, products were graded on a 1000-point scale. 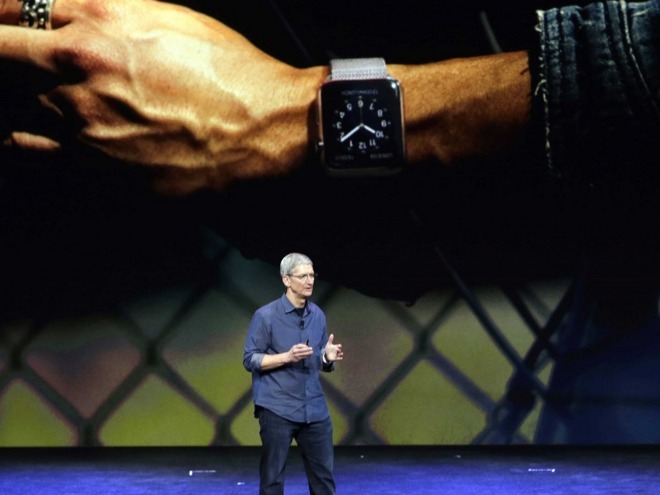 The Apple Watch was the clear winner, earning a top-ranked score of 852, which placed it ahead of Samsung's 842. Sony (840), Fitbit (839), and LG (827) rounded out the rest of the top five. Among those polled, Apple Watch performed strongest against the competition in comfort, styling, and ease of use. Samsung's products performed best in customer service, display size, and phone connectivity features. Overall, 19 percent of all smartwatch customers informed J.D. Power that they had issues with their wearable device. The most common issues were related to charging the watch, user customization, and broken charging peripherals. Samsung held a commanding lead in the far cheaper "fitness band" product category, a market segment Apple does not compete in. Samsung's score of 859 bested second-ranked Garmin, coming in at 836. The fitness band category had an average customer satisfaction ranking of 829. The Pebble, arguably the first modern smartwatch, was released in July 2013 and wasn't included in either J.D. Power survey. Samsung's first smart watch, the Galaxy Gear, shipped to customers in September of 2013. The Apple Watch began shipping to customers on April 24, 2015.